For most actuarial students today, their first actuarial job is the hardest one to get. The number of students applying for entry-level actuarial job openings in the US and Canada is at or near an all-time high. In today’s entry-level job market, actuarial students must take a number of very important steps to get hired. The Fall semester is a critical time for college and university students seeking to enter the actuarial field. Many insurance and consulting companies conduct interviews and extend offers in the Fall for internships and jobs beginning the following summer. What employers are looking for when hiring for internships and full-time positions? How important is passing 1, 2 or more actuarial exams? How can I stand out during the recruiting process? Actuarial students who are planning to apply for internships or entry-level actuarial positions in the US or Canada. 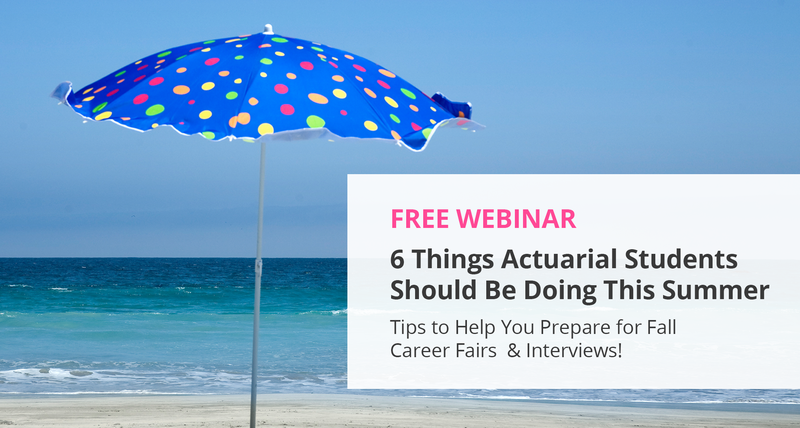 Understand the key aspects of “building your brand”; the skills and knowledge that employers are looking for when hiring entry-level actuarial students. Develop their own plan of action, based on their own personal circumstances, to make them more attractive to employers and get hired. Sign up here to receive access to this free webinar today.